Maine State Police Trooper Douglas Cropper tried to flag down an 88-year-old Toyota Corolla driver who was going the wrong way on Interstate 295 last month. When that failed, Cropper stopped the errant Corolla himself — using his own car. The Trooper tells the Maine Sunday Telegram that he didn't have time to set up a deflation device that would blow out the car's tires. Instead, he positioned his Crown Victoria in the southbound lane and the Corolla crashed into his hood at about 45 or 50 mph. "I came in pretty hard, but I was on my brakes and almost at a dead stop," Cropper told the newspaper. The driver, 88-year-old Kenneth Gill of Scarborough, told Cropper he was just trying to go pay his water bill, knew he was driving the wrong way but didn't see any exit. Sounds like it's time to get grandpa a bus pass. 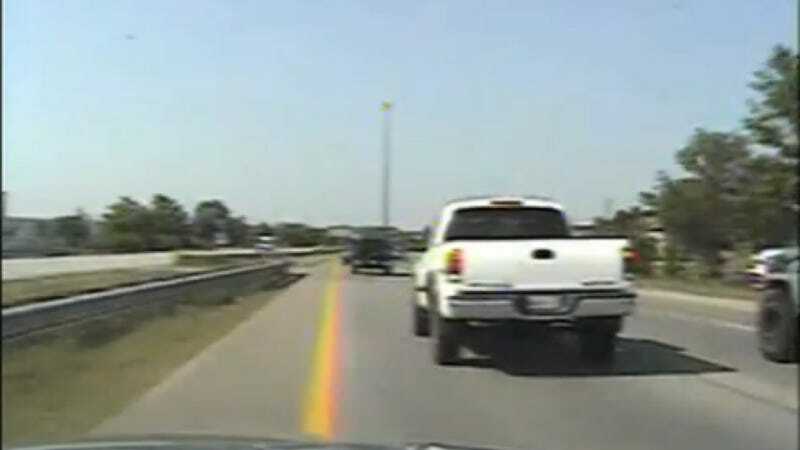 Check out his dash cam video, which comes to us courtesy of PoliceOne.com. The crash happens at the very end of the video.